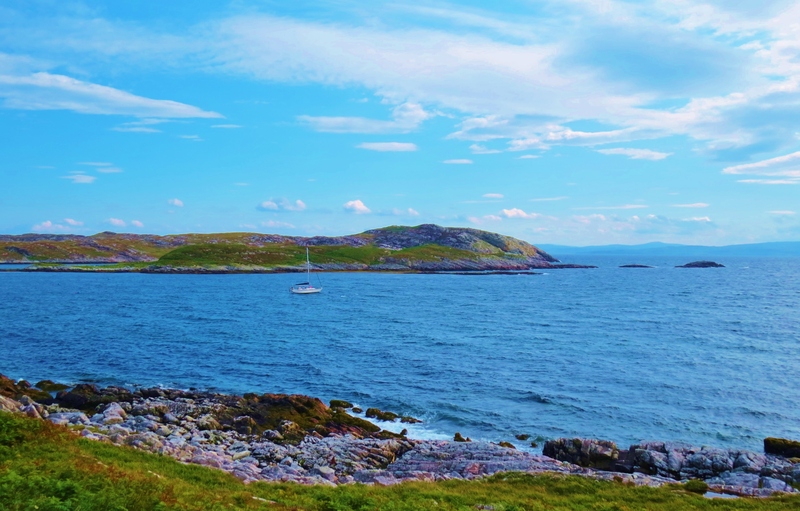 Scotland’s Sea Kingdom is even more mystical and magical than the name suggests. Made up of numerous small islands, this relatively little known treasure hosts a wealth of natural, wondrous phenomena, teeming wildlife, geological marvels and indescribable beauty. Always, there is an inexplicable other-worldly air of mystery and enchantment not known anywhere else in the world, except some places in the Western Highlands and Islands of Scotland. More commonly known as The Southern Hebrides, or, occasionally, The Hebridean Islands of Argyll, this land of wonder and enchantment is situated off the coast of the southern Highlands of Scotland, readily reached from the mainland harbour town of Oban, of which I like to think as ‘The Gateway To Scotland’s Sea Kingdom’. 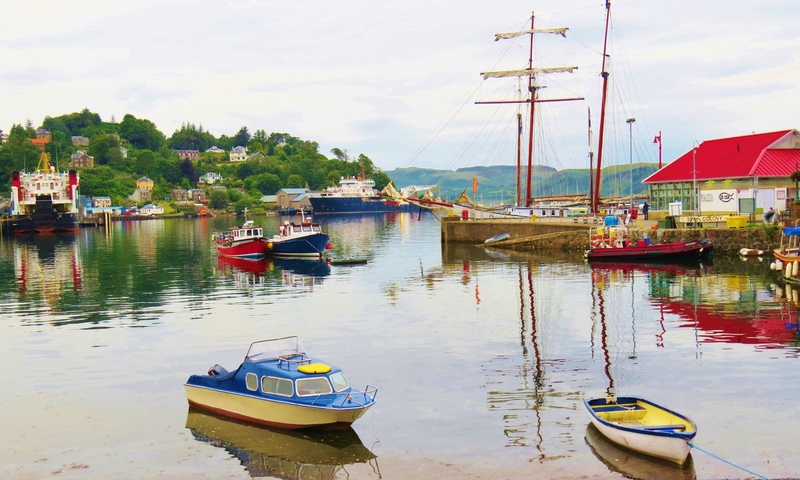 Oban is a small, coastal town with a huge personality. 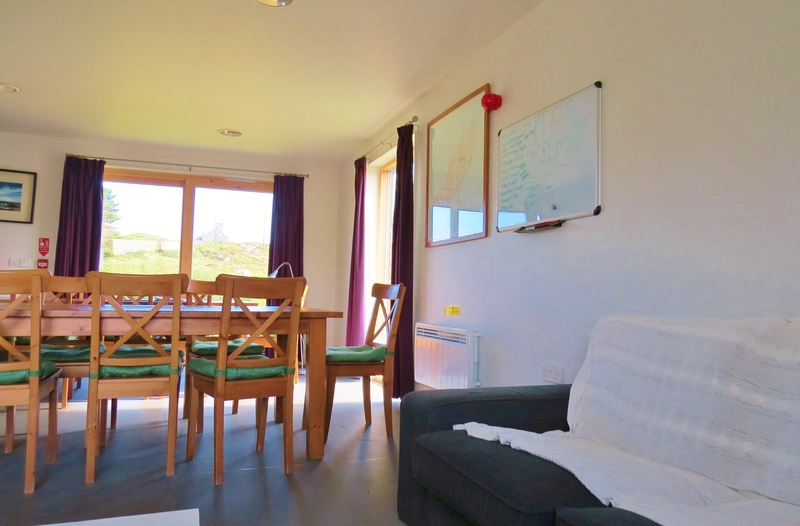 Situated on the West coast of the Scottish Highlands, it bathes visitors in a warm, welcoming atmosphere. While bustling with marine and other travel activity, this upmarket but unassuming little place manages to maintain a relaxed, laid-back air. 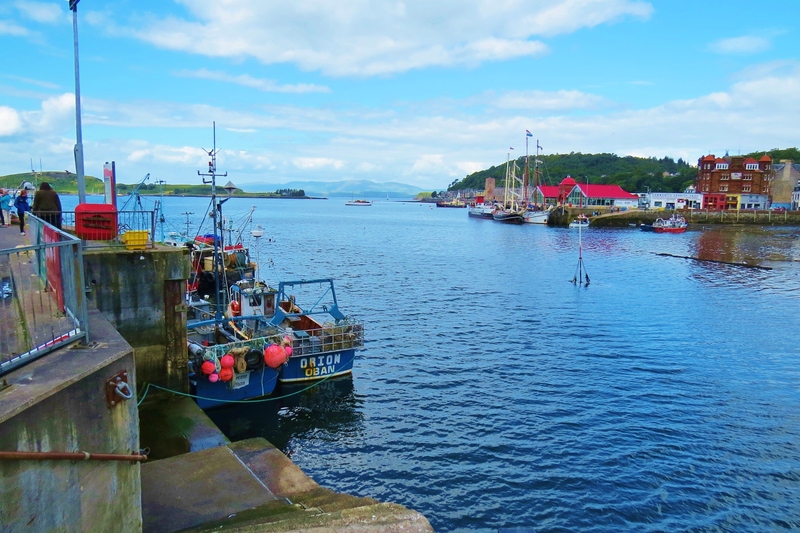 ‘Oban’ means ‘Little Harbour’ but it offers marine passage to a surprisingly large number of destinations, reaching as far as the Outer Hebrides. 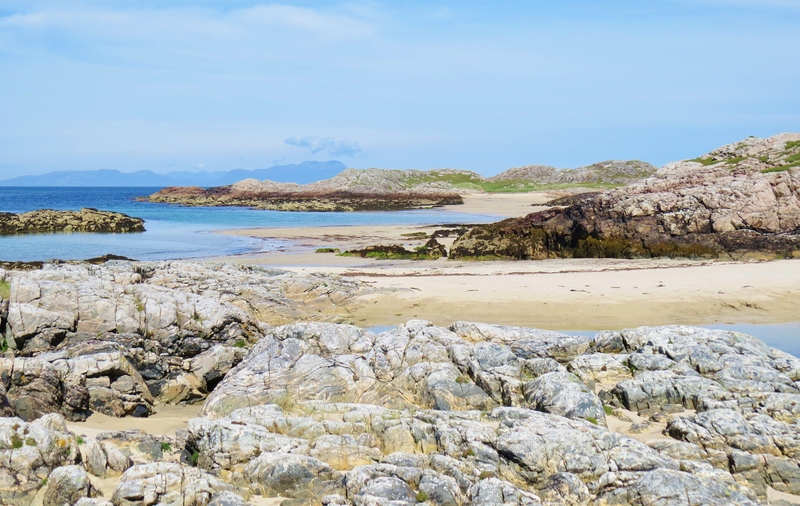 Travellers can choose from a selection of day trips to some of the many small Atlantic islands off the coast that make up Scotland’s Sea Kingdom, aka The Southern Hebrides, or take the Caledonian MacBrayne ferry to others. The accommodation on the CalMac ferries is excellent, with pet areas as comfortable as that of their owners. Food of a surprisingly high standard is served continually. 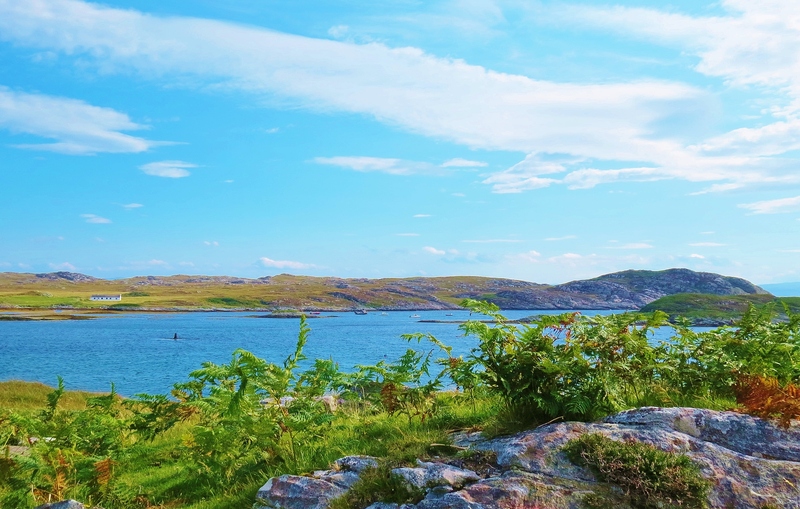 For the most adventurous day trippers, a high speed boat to Corryvreckan, the world’s third largest whirlpool gives the required thrills, while a slower whale or wildlife watching craft sets a more sedate pace. Sealife Adventures with Dolphin II offers the best of everything. Fingal’s Cave, of classical music reknown can be visited on a day trip to the Island of Staffa with Staffa Tours. 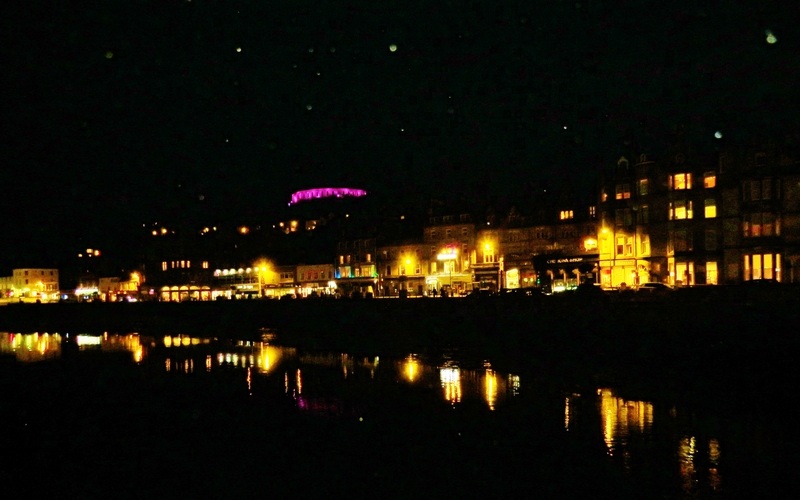 These and many more jewels in the Sea Kingdom’s crown can be visited from Oban. 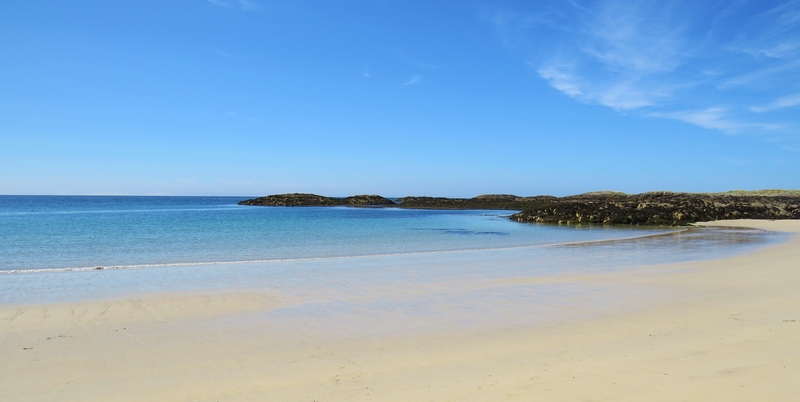 The writer first chose to spend three days on the Isle of Coll, a three hour trip on a CalMac ferry. The difference of the islands, each from the other, is dramatic, amazing and strange, adding to the unreal feeling of the area. Though often less than ten miles apart, going from one to another is like changing continents, and, on occasion, like visiting a different planet. Coll is a particularly unknown jewel in the Kingdom’s crown. 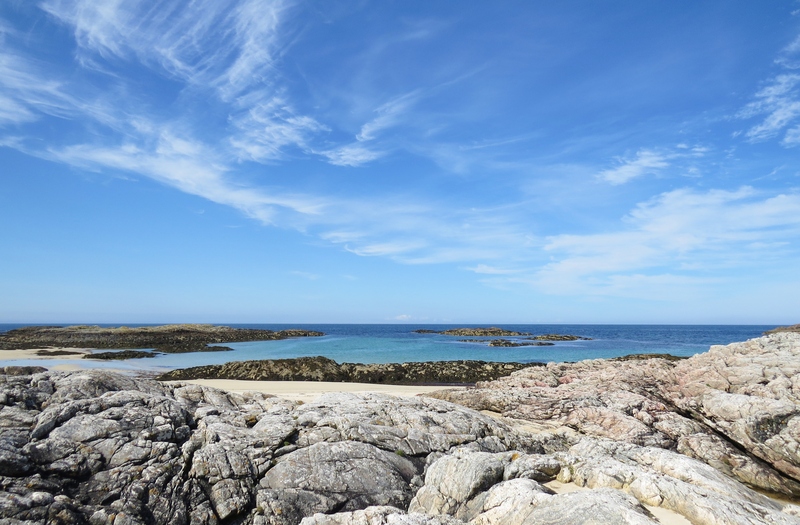 Vyeing with it’s neighbouring island, Tiree, as the sunniest place in Britain, it has changed little over the centuries and almost not atall in recent times. 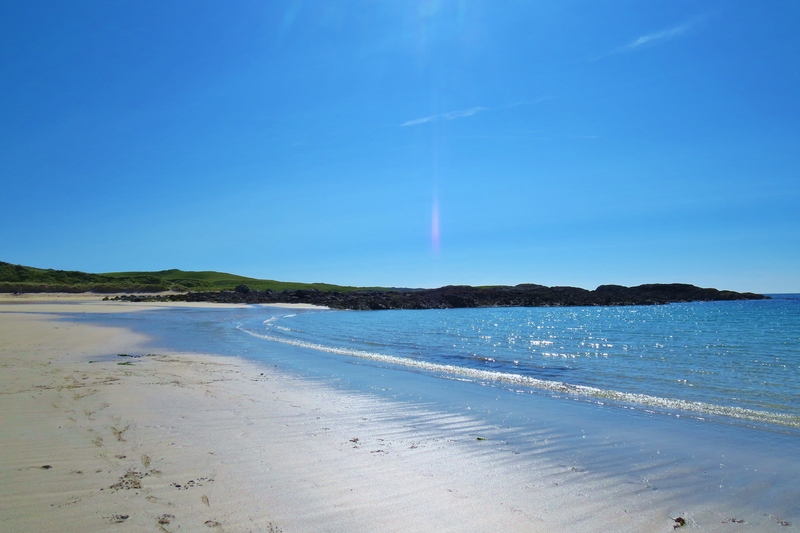 Coll is 13 miles long and 4 miles wide with a thriving community of 200 souls, mostly farmers or crofters with a little lobster trade. 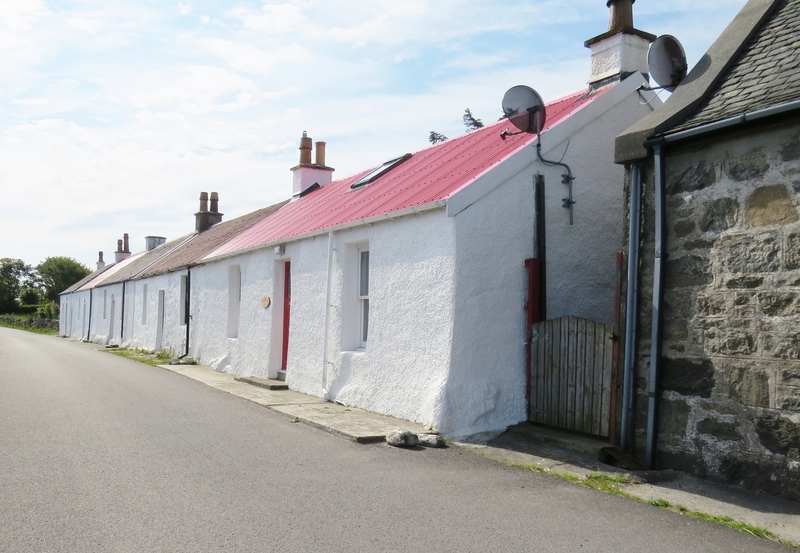 Fifty percent of the population live at the harbour village of Arinagour, the second oldest settlement in the islands, Kinloch, on Rum Isle, being older. For amateur astronomers it is a dream come true, being one of only two ‘dark skies’ islands in the world. 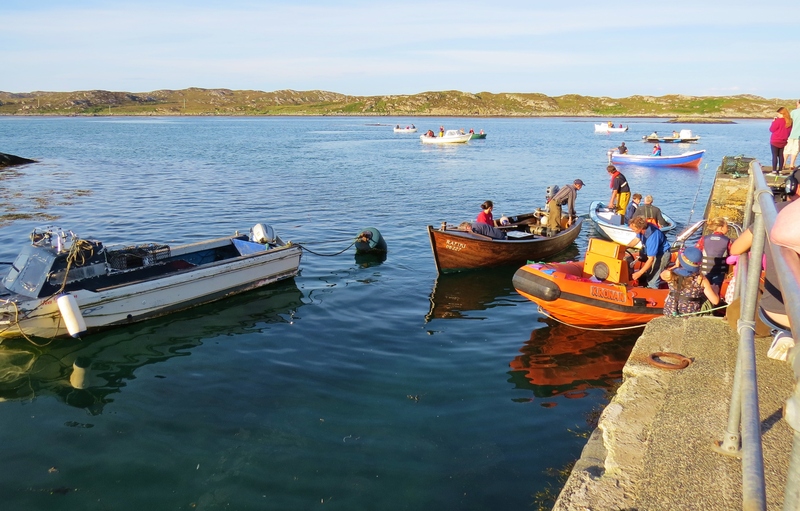 I arrived on an August evening when the locals were preparing for their annual fishing competition. There was much excitement as they gathered at the starting line. Then they were off. The contestants had three hours to catch as many fish as possible, – any kind, any size. The person with the greatest accumulative weight was the winner. Hidden along the island’s north and west coastlines are twenty-three spectacular, white shell-sand beaches. None are near Arinagour, so, in the absence of four wheels, long walks or bicycles are required. 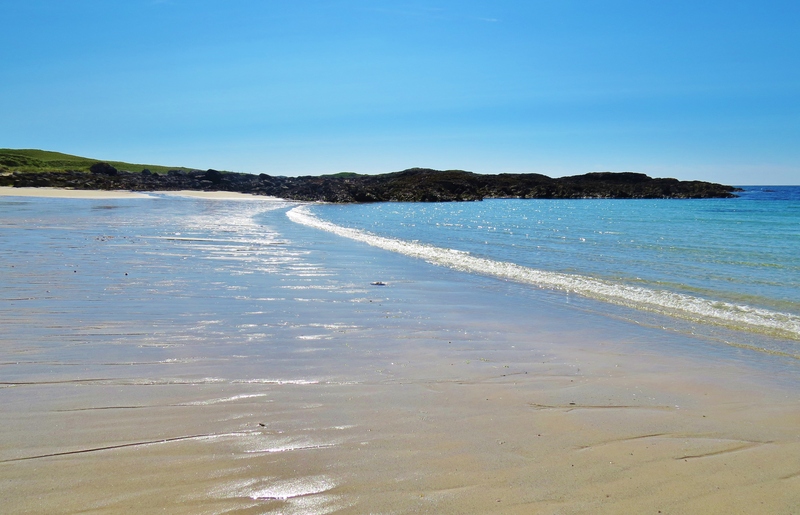 Totronald is a large area on the west side of Coll owned by the RSPB (Royal Society For Protection of Birds). The most well known of the native bird species, the corncrake, is only found on Coll. 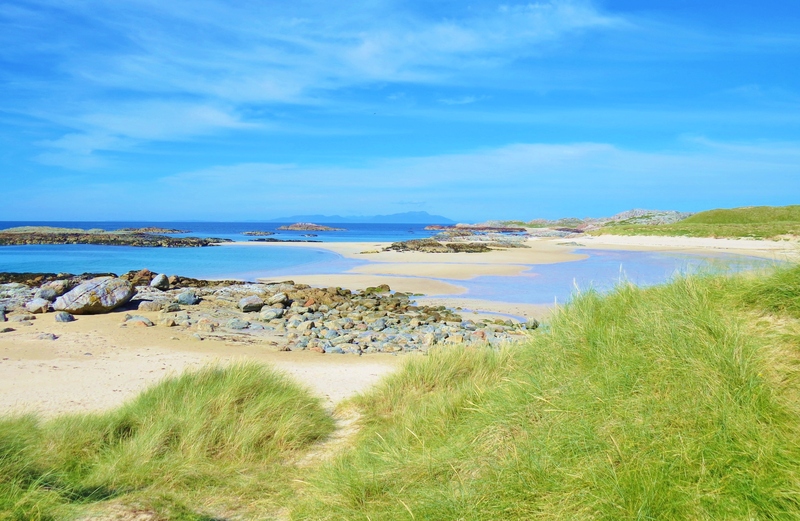 The beaches are well hidden from the road, but walking across wildflower-carpeted machair to reach Hogh Bay in the Totronald area was sheer joy. 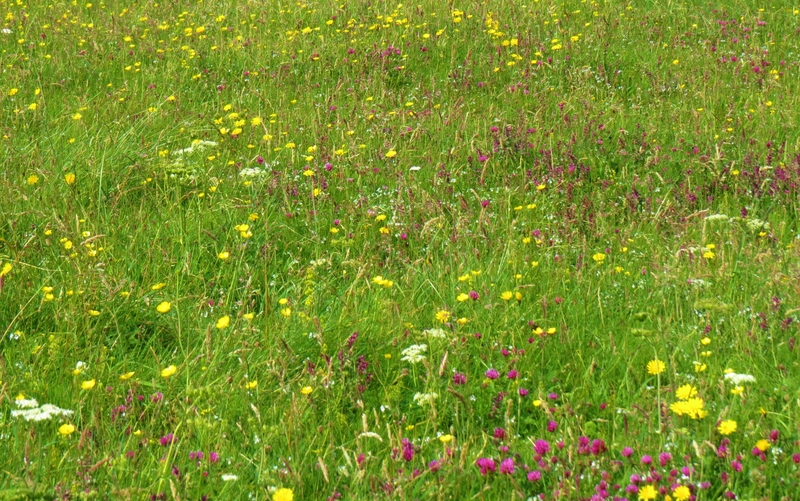 (Machair is the fertile land next to sand dunes that stretches inland). 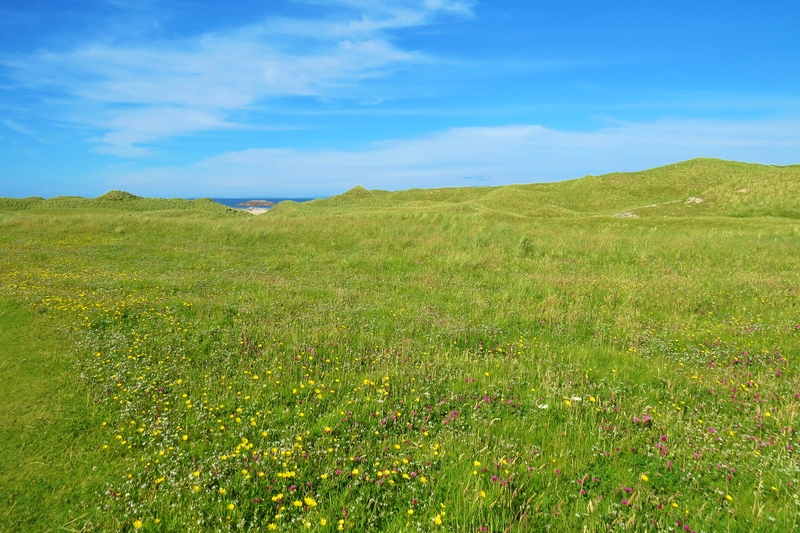 Sand from the dunes, blown back from the coast, mixes with the local peaty soil neutralising the acid and making perfect grazing land For much of the year it is covered with wild flowers. Becoming increasingly known as ‘Island of Dark Skies’, Coll was awarded the coveted ‘dark skies’ category from the International Astronomical Association in 2013, one of only two islands in the world to have done so. The other island is Sark in the Channel Islands, also part of the UK. 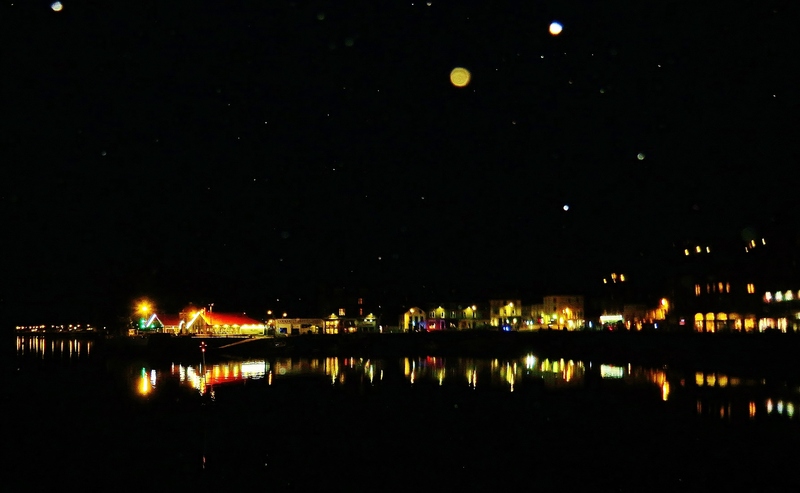 On the Bortle scale, which measures factors needed to give the optimum view of the night sky, Coll is 22nd in the world. Astronomy workshops and stargazing winter holidays can be arranged through the Coll Hotel at Arinagour. For visitors who do not have one of their own, telescopes are available to borrow. My second day on the island, the weather turned cool and cloudy. 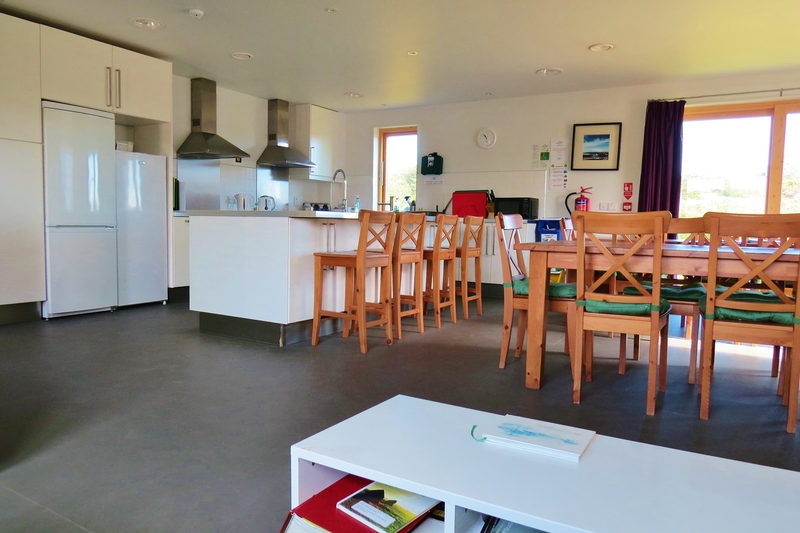 I took my camera and explored around the Coll Bunkhouse in Arinagour where I was staying. The following video is only a few seconds long but is sheer magic. These Eriskay ponies from the Outer Hebridean Isle of Eriskay were living on a croft next to the bunkhouse. 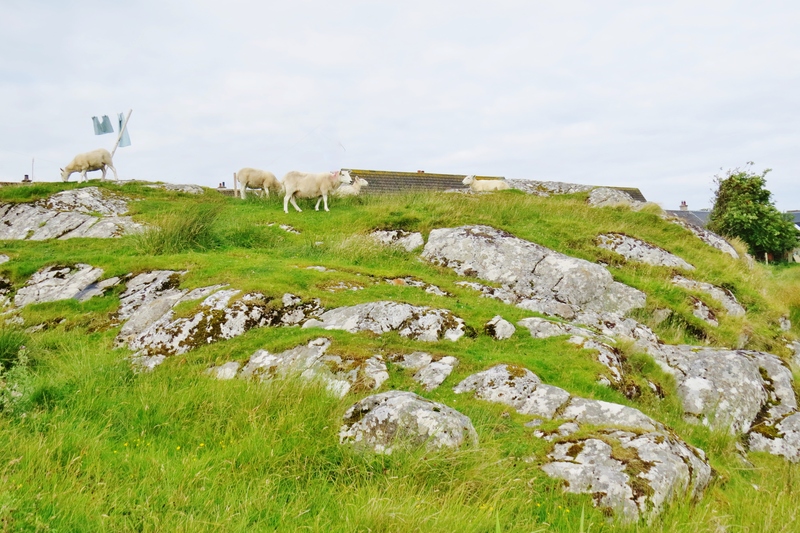 Roadside grass is kept tidy by the sheep, allowed to roam freely and graze at will. This super-efficient management of resources works brilliantly. 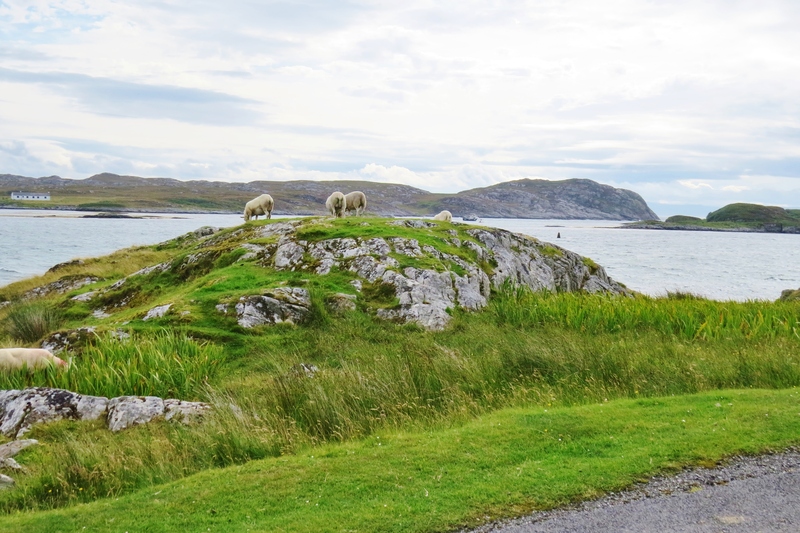 The coast around Arinagour on the east side of the island is markedly different from the gentle-looking world of white shell-sand and wilflower-strewn machair on the west. The coast is rocky, devoid of beaches and with ferns instead of wildflowers. The sea inlet that forms the harbour at Arinagour is known as Loch Eatharina. In the picture below, I captured the fin of either a basking shark or a minke whale. There were many seals frolicking about there also. Note the signature ferns that grow in profusion near the water on the east side of the island. 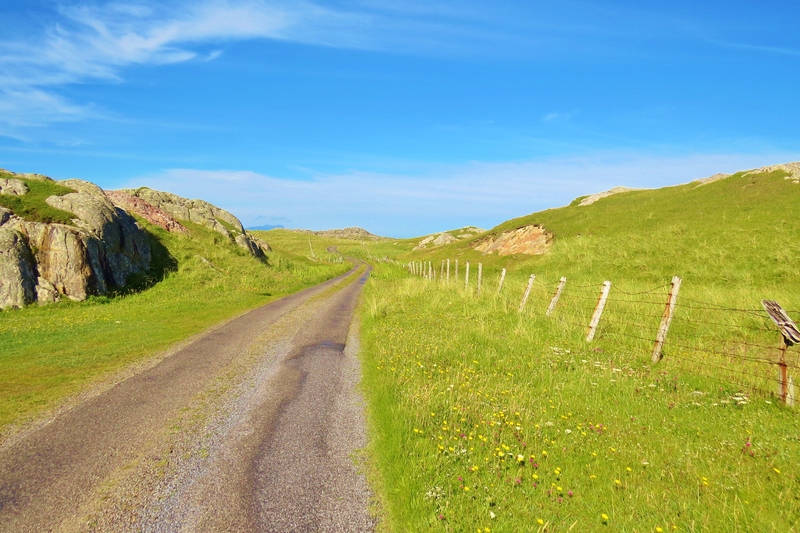 The Isle of Coll has a long, colourful history, the earliest lost in the mists of time. 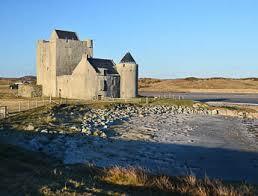 Breacachadh Castle, a medieval fortress, still stands intact. 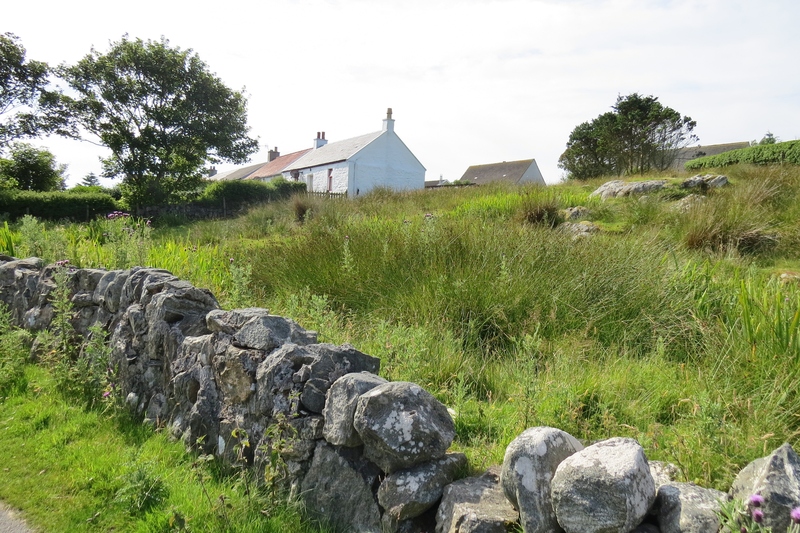 Its residents are descendants of the clan Maclean of Coll island residents who were forced to resettle in the colonies during the Highland and Island Clearances. Nicholas MacLean-Bristol moved to Coll from South Africa in 1961. He restored the medieval fort that had stood empty for 200 years and still lives there with his family. His children left, then recently returned to give his grandchildren the kind of upbringing they had enjoyed. 25% of the island residents are children. This returned native son has served the island and the nation well, providing guidance and training for thousands of gap year students through Project Trust which sends young people abroad to 63 countries where they spend a year doing volunteer work. In this he is helped by local people who accommodate prospective volunteers as part of the selection process. Not all can tolerate being out of their comfort zone. The setting sun lit up this abandoned church. How amazing would be that view on a clear winter night under ‘dark skies’. Accommodation on Coll is limited. 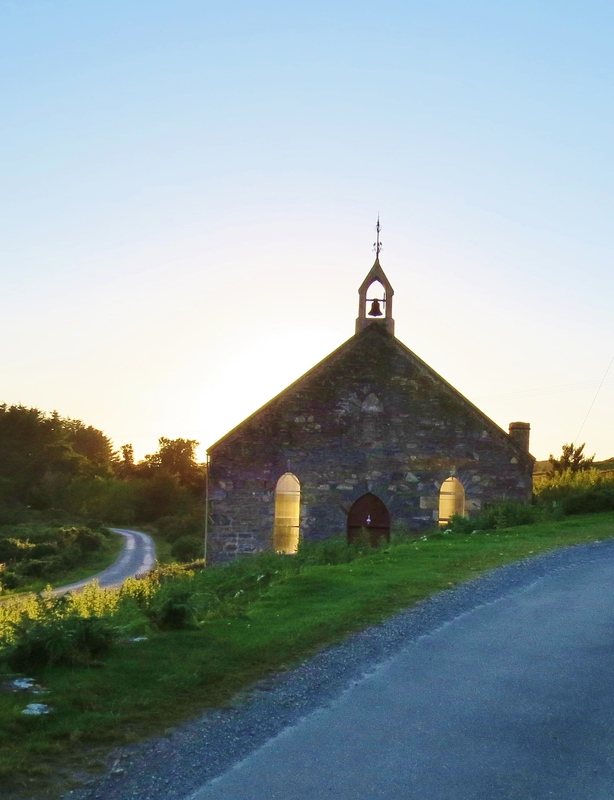 Apart from the Coll Hotel at Arinagour, the recently built Coll Bunkhouse, part of a Developement Coll project completed in 2012 and adjacent to the new community centre, An Cridhe, is the only option. It is small but comfortable with excellent amenities. There are two quite well stocked grocery stores but fresh produce is in short supply. The Island Cafe at Arinagour is excellent and open reasonable hours. There is an airport, a nine-hole golf course and a camp site. Some beaches have dangerous rip tides so always ask locals before venturing into the water. Others are safe for snorkling; body boarding; swimming; surfing and fishing. There is a nine-hole golf course. Pony treking is on offer as well as bicycles and kayaks to rent. A camp site is available. Then, always, there is walking or just being there to soak up precious moments spent in this heaven on earth. For details of astronomy workshops and winter star gazing holidays, contact Coll Hotel. From Glasgow drive or take a train to Oban. A Caladonian MacBrayne (CalMac) ferry leaves Oban for the three hour trip to Arinagour, Isle of Coll. 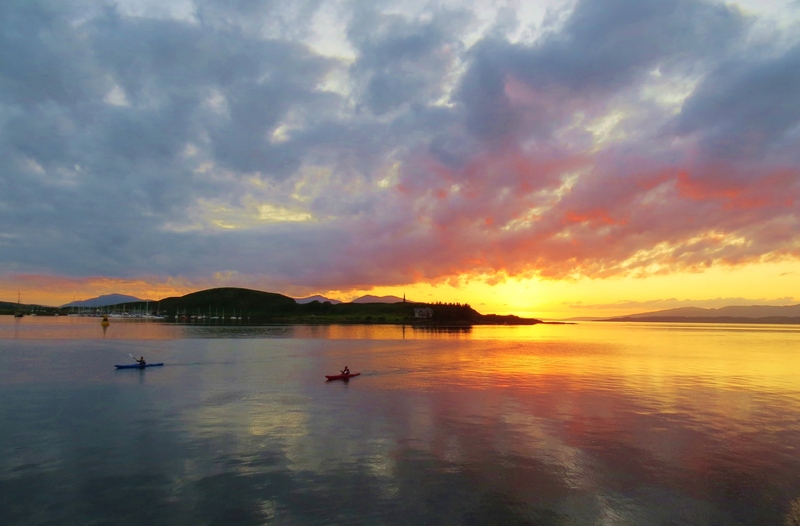 Schedules available on-line or from the CalMac office in Oban. For those who can afford to do so, flying is an option.